We’ve been accepted as a, “Certified Hunger Action Congregation”! 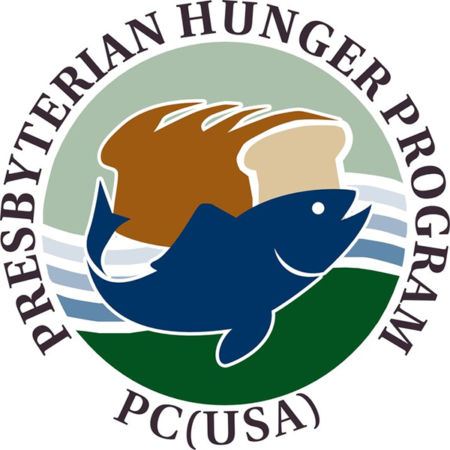 The citation from PCUSA reads, in part, “Through your local hunger ministry commitment, and now as a recognized PC(USA) Hunger Action Congregation, you march side by side with other Presbyterians committed to alleviating hunger and to addressing the prejudices, practices, and policies that undergird a system that perpetuates hunger and poverty in even this rich country, the United States. We pray God uses this network of Hunger Action Congregations to share best practices, to communicate challenges and celebrations, and to multiply the effect each of us can have in our own neighborhoods to a much broader impact. Because your congregation is active in all six areas of hunger response, we are honored to bestow on you the special designation of Certified Hunger Action Congregation. Accordingly, we are sending you a Certificate to display in your church and to include in web or electronic communications as you wish. You may open the attachment, enter your congregation’s name, and print your certificate. We encourage you to write about your covenant and your hunger and poverty work to share with us, your presbytery, and for local media as well. We celebrate your ministry! And we will more formally recognize your congregation, along with the growing number of Hunger Action Congregations around the country, on World Food Day (October 16) during the Churches Week of Action on Food. Together, let us continue to reach out to those who hunger in our own communities, including those who may be sitting near us in our own congregations, and may we respond to larger national and global hunger concerns as well. You can read about the annual Food Week of Action and World Food Day at pcusa.org/foodweek. Find resources about hunger, the Presbyterian Hunger Program, and national and international campaigns that tackle root causes of hunger at pcusa.org/hunger. You can access the most up-to-date information and announcements by liking PHP at facebook.com/presbyhunger. You may also sign up for an e-newsletter that shares about PHP and our broader Compassion, Peace and Justice ministry area within the Presbyterian Church (USA), to hear news about hunger, peacemaking, disaster response, and more. We will contact Hunger Action Congregations quarterly about upcoming trips, resources, opportunities, and important developments. Please also send us your congregation’s updates, stories, or just a hello throughout the year – email php@pcusa.org. We would like to share those updates with other Hunger Action Congregations and Presbyterians around the world, posting them on our blog, sharing snippets through facebook, and connecting you to one another. Blessings on your congregation and your ministries!